Wald Peterson grew up in Bulgaria. He loves drawing and reading since he was a little boy. His creativity was promoted by the avocations of his parents: his mother used to draw while his father was in for wood-carving. Since his childhood Wald has dreamed of becoming an astronaut and flying to space toward adventures. When he grew up in pursuit of his dream he got a degree in aerospace technologies and later in project management and for a long time worked for companies related to space and IT. For over 15 years Wald Peterson has been writing poems and short stories to the enjoyment of his family and friends. 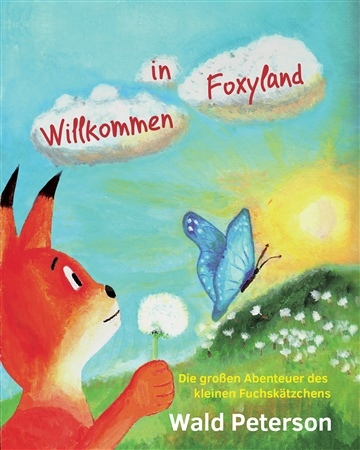 There is still a little child living inside of him with a liking for adventure and boundless imagination thanks to which Foxycat, the main character of numerous wonderful stories, stepped out into this world from the pages of his books. Wald likes music, reading books, playing the guitar, cooking yummy food with his wife, traveling and windsurfing.